Create beautiful pages every time – follow our pro advice on how to improve your typesetting. Typesetting – the business of putting text on a page – is one of those design disciplines that might look straightforward enough to the casual observer, but which is actually full of potential pitfalls. There's more to it than choosing a decent font pairing and hoping for the best. Bad typesetting can be just as hard on the eye as an ill-considered palette or a poorly-executed logo design, and there's no way around it: you have to take your time learning the basics. If you follow these expert tips, though, you should find that the path to typesetting expertise becomes much easier to follow. 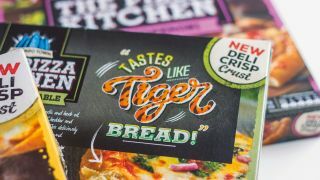 "Getting typesetting right is something that will largely come with time," says Michelle Stocks of Nelson Bostock Unlimited. "So just keep practising, and don't get put off when it doesn't look good immediately. I recommend looking at a lot of inspiration too, because it helps you get an idea of what works well together." "First you need to learn the tools: font size, leading, tracking, horizontal and vertical scaling, paragraph styling, language settings and grid systems," says Maya Walters of Hogarth Worldwide. "Then you need to extend your knowledge: there's always something new to learn. Read a book on typography and set challenges for yourself to put your new skills into practice, such as working on a personal project." For reading matter, Luke Tonge of LIFE suggests Type Matters! by Jim Williams and Thinking with Type by Ellen Lupton. And if you really want to treat yourself, he adds, The Visual History of Type by Paul McNeil is "the best book on type this year". "There are countless online resources to help you improve your skills too," says Tonge. "They include ilovetypography.com, typographher.com, letterformarchive.org, typewolf.com and fontsinuse.com. Plus, on Twitter there are heaps of amazing foundries, magazines, designers, publications and organisations to follow, to further immerse yourself in the world of type." "Above all, find out about the client's needs when it comes to typesetting," says Walters. "Do they have guidelines and styles? If so, they should be made a prime consideration for the typography you create." This article was originally published in issue 274 of Computer Arts, the global design magazine. Buy issue 274 here or subscribe to Computer Arts here.